Local IT and communications firm, Excalibur Communications and its customers have donated a wide selection of pre-loved IT equipment to Cheltenham-based charity IT Schools Africa (ITSA). ITSA has a mission to provide quality education to African students through access to e-learning and invites businesses and schools to donate working IT equipment to the charity. It also runs a community programme in the South West helping local charities and community organisations bridge the digital divide. Excalibur customers including Ecosulis, 3GHR, Wiltshire Air Ambulance and Retrac Composites have donated a wide selection of working equipment to the charity. To date; one server, 20 PCs, 13 laptops and 11 flat screens have been given. IT Schools Africa says it is always in need of working IT equipment – PCs, laptops with chargers, flat screen monitors, mice and keyboards, iPads, tablets and smartphones, un-used toner cartridges, hard drives and RAM. 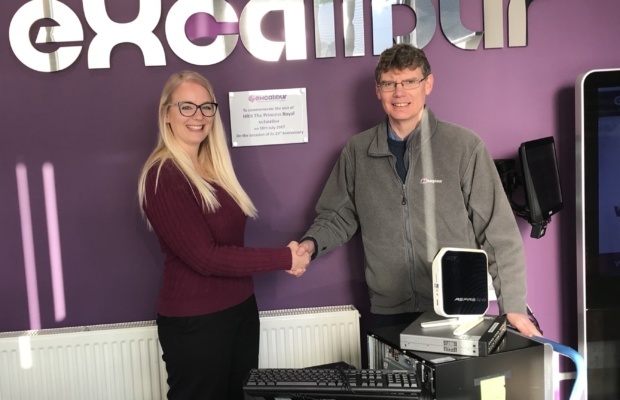 Peter Boucher, CEO of Swindon-based Excalibur, said, “I would like to thank our customers who have donated working IT equipment to such a great cause. Excalibur and Techs4Education are passionate about using technology to make the student classroom experience second to none. Jenny Evans marketing and donations co-coordinator at IT Schools Africa added, “Thank you so much Excalibur for coordinating these fantastic donations from your customers. Equipment like this makes our work possible and ensures we can continue to enable quality education through IT and improve employment and life opportunities for our students in Africa. If you would like more details about the work of IT Schools Africa in Africa or the UK visit their website here.